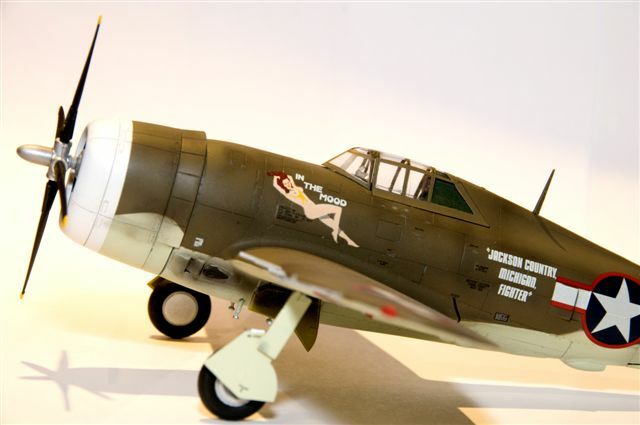 This model is Hasegawa's 1/48 scale P-47D “Razorback” that I elected to build, despite all of the other builder’s comments about the problem with the fit at the forward edge of the wing to fuselage. Despite this, I am pleased with the result. 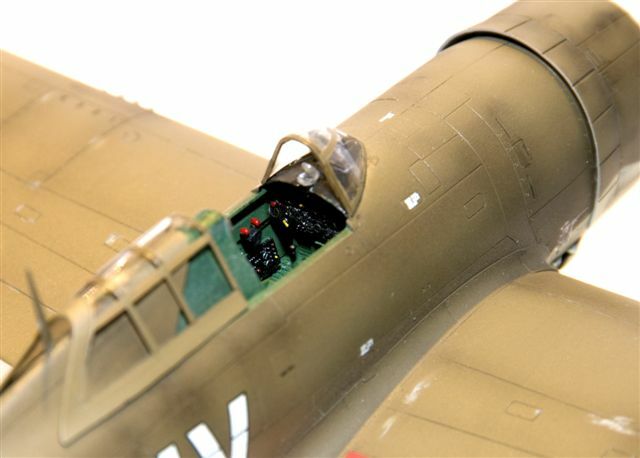 The kit was (with the exception of the wing fit) a very nice kit to build with a reasonable level of detail in the cockpit. 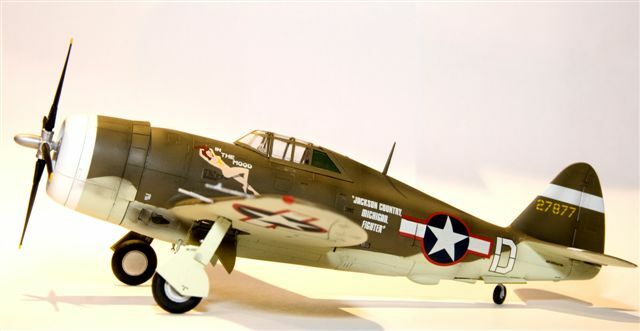 It was my second build after some 20 years of not having built a model and my first with the aid of and airbrush and compressor. 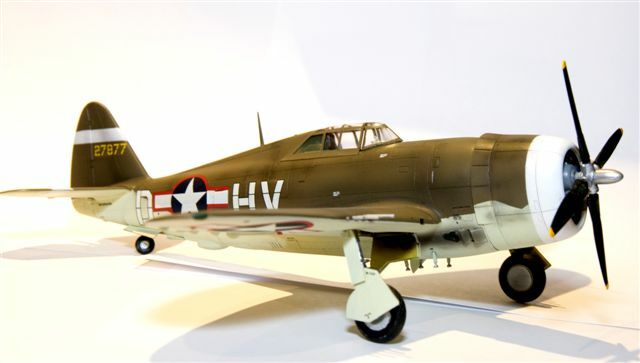 If you have not tried to paint a model with the aid of an airbrush, you must try it is fantastic!